UP! Aerial Fitness opens its doors August 1st in the repurposed #56 school’s gymnasium, located at 722 West Delavan Avenue. Up! Aerial Fitness will offer alternative workouts approachable to all levels utilizing contemporary circus apparatuses such as silks, hoops and hammocks. 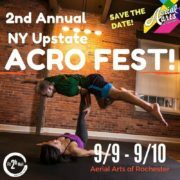 Bungee Dance, Flybarre Trapeze and Aerial Yoga will leave you suspended in the air to experience the freeness of flight. 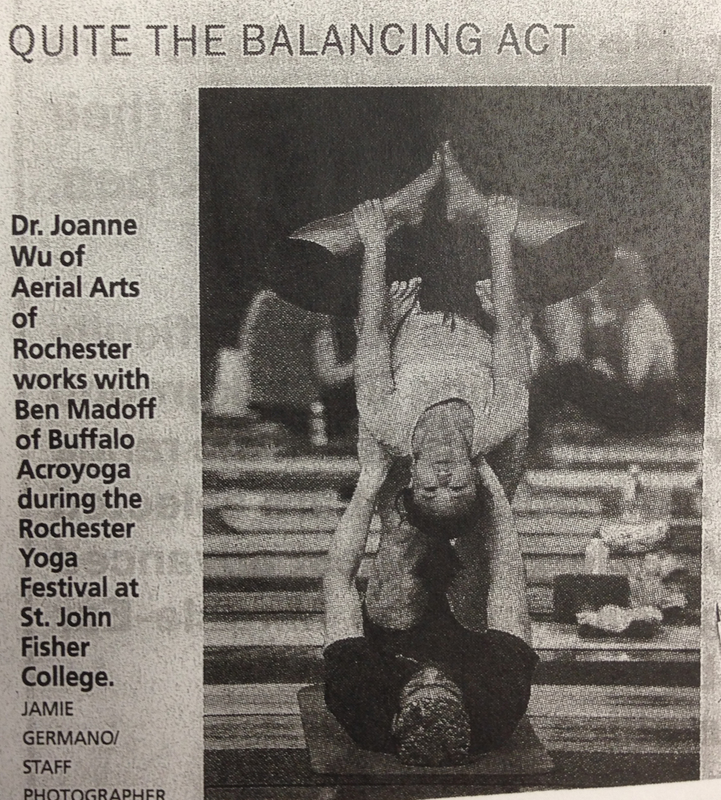 A sister school to Aerial Arts of Rochester, owners Jennifer Dovidio and William Dovidio partnered with Dr. Joanne Wu and Kimberly Eichorn to bring their passion for cirque fitness to Buffalo. Instructors will be brining years of experience, along with specialized certifications in working with adults and children to the family friendly facility. 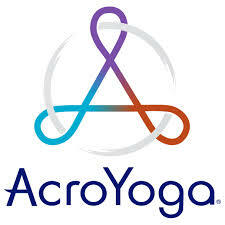 Clients can expect a dynamic and energetic atmosphere as they literally fly through their workouts. “Our clients don’t realize they are getting a great workout until class is over because they are having so much fun,” says co-owner Kim Eichorn. All class offerings are designed to increase strength and flexibility, however other benefits go beyond seeing the physical results. 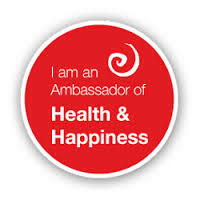 Expect to release stress, gain confidence and become a part of a supportive community that will help build your skills. UP! Aerial Fitness will host weekly introductory workshops on Saturday mornings for those who are interested in trying out the movements but anyone interested can walk in to many class options during the week. UP! 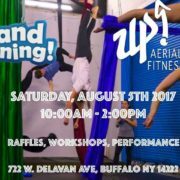 Aerial fitness also hosts celebrations such as birthday or bachelorette parties, kids camps and their professional cirque troupe The UP! State Cirque Troupe can be hired to perform at local events. 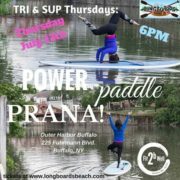 TRI & SUP Thursdays: Power, Paddle and Prana Yoga w/drink after! Each Thurs this summer we will bring you a fusion fitness, stand up paddleboard (SUP) 75 minute class for only $30 that will have you coming back for more each week!‍♀️ FREE DRINK on us after to celebrate your hard work! 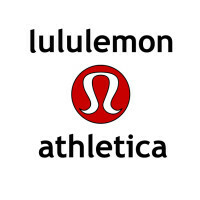 Get a fun total body workout this summer by the waterfront at Outer Harbor! Get a TRIfecta sweat session with us starting off with an approachable, 15min uplifting xfit fusion and core power exercises in high intensity intervals on land. Once you are warm and ready, workout moves to the water on SUP where we paddle around for cardio challenge with breathtaking views. We wrap up our TRI Thursdays with relaxing and rejuvenating SUP yoga where we challenge our balance, stretch and prana (breathwork) After the hour of power play, join us for a sip with a FREE DRINK while you meet and bond with your community. 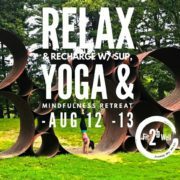 Feel good, have a blast, and savor the ❤️BUFFALOVE summer sweat with us – the mindful and stress free way! You won’t regret it. Bring a friend or prepared to meet new ones!! No experience on SUP needed. No equipment necessary except a pair of comfortable shoes and flip flops or water shoes to walk near to water. Bring a towel and a change of clothing if desired. http://fit2bwell.com/site/wp-content/uploads/2017/07/19875619_1354970631290461_2889546707070870778_n.jpg 480 480 sandy http://fit2bwell.com/site/wp-content/uploads/2013/09/logo_216.png sandy2017-07-12 17:51:142017-07-12 17:53:33TRI & SUP Thursdays: Power, Paddle and Prana Yoga w/drink after!